We all forget switching-off the television set when we are leaving the room. How cool it would be if the television set itself switch it off. Are we asking a lot. It appears that Sony will soon be solving our problem with their new television. 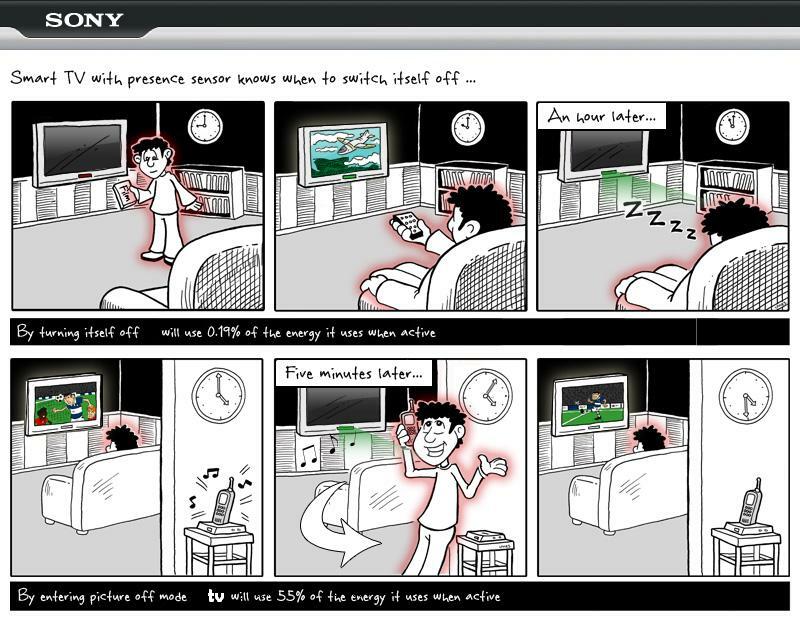 The Sony’s smart TV will be capable of sensing the presence of the user using multi point motion sensors. The television can sense the presence and departure of a person and other aspects like location of the person, direction of the person, distance and the intentions of the user. Detecting the distance of user(s) and adjusting the screen brightness, sound level and other settings providing a complete television viewing experience. With the aid of motion sensors, the television can switch-on and switch-off based on the presence and departure of a person. The sensors will also be sensing the intention of user by sensing user’s actions and then performing the appropriate actions. So, now no need to worry about switch-off the TV every time you go outside. This is just a step of future TV experiences you will be enjoying soon. World is going to be filled with smart home appliances, not only TVs will be smarter but refrigerator, washing machine and AC will be working automatically smart. For example, Mitsubishi has an air conditioner that like the Sony’s TV can sense human presence and location to give better air.